On Sunday, Nottingham Forest kick off their first season back in The Championship at home to Reading. Having scraped into second place on the final day of last season thanks to an amazing run of good form and even better fortune, the new season has been viewed with optimism by the vast majority of Forest fans. Many have been speaking of a second successive promotion, and the vast majority of those think the play-offs should be the minimum objective for the team. Personally, I think that this is being a little optimistic, and a season of consolidation would be much more welcome (and much more likely). It must be remembered that promotion was far from straightforward, and now Forest must compete at a higher level. They are no longer be a big fish in a small pond, and so won’t be regarded as The Team To Beat by every other team in the division, which could play into their hands. However, as I have already mentioned, the teams will be better, and will almost certainly provide just as stern a test as those in League One who made up the difference in quality by giving everything when facing the Reds. Not only that, but in the three years Forest spent in League One, the Championship will have improved in quality, and won’t be the same league they remember from the dark days of Joe Kinnear and Gary Megson. Forest’s defence was one of the main reasons they gained promotion. 24 clean sheets last season tells its own story, and while he was widely criticised for his negative approach, Colin Calderwood’s defensive tactics could make the difference in crucial matches in the coming season. In front of the defence there is a talented midfield, with Lewis McGugan catching the eye with his penchant for spectacular goals, and Chris Cohen’s tireless running proving invaluable at both ends. The squad contains several wingers with pace and skill in Arron Davies, Paul Anderson and Garath McCleary, who should ask serious questions of most defences and provide plenty of chances for the beefed-up attack. Up front, Forest have sought to address last season’s main weakness, the attack, by signing a number of strikers. Rob Earnshaw has scored plenty of goals in this division for Cardiff, West Brom and Norwich, while Andy Cole led Manchester United’s attack for several years and is one of the highest scorers in Premiership history. The squad is worryingly thin. Despite signing three strikers, the departures of Junior Agogo and Grant Holt have meant that there is only a net gain of one player in that department. Central midfield is especially light, and if Calderwood continues to employ a 4-3-3 formation, Cohen, McGugan and new signing Guy Moussi will be automatic choices, with backup provided by James Perch (who might have to be moved from right-back to cover any absences) and Matt Thornhill who has only made a handful of appearances, and never played at this level. A serious injury to any of the main three could spell disaster. It is a similar story in defence, with a strong back four but little backup. Julian Bennett is the only senior left-back in the squad, and there is no natural right-back to be found. Last season that position was filled by Luke Chambers, a converted centre-back, but against a higher class of opponent he could be exposed all too frequently. With Chambers possibly playing at full-back, the only other centre-back in the squad is Ian Breckin. It seemed that he was being eased out of first-team football last year, and at 33 he isn’t getting any faster, though his experience could come in useful. Paul Smith is also the only senior goalkeeper in the squad, and some fans are questioning his ability as he seems reluctant to come for crosses. With seven games to go last season and Forest stumbling towards the play-offs, it looked like another year of disappointment. There were calls for Colin Calderwood to resign, with many fans frustrated by the poor football on show and blaming his defensive tactics and tendency to play players out of position for the club’s continued underachievement. All that changed as he led the club on an incredible run of six wins and a draw to steal promotion on the final day of the season, and in so doing earn himself a clean slate with the vast majority of supporters. What has never really been in doubt is his ability to sign good players. He researches the player thoroughly, with the emphasis as much on the target’s personality as their ability. He refuses to be held to ransom, which often leads to signings being made late on transfer deadline day as clubs realise they can either take the money on offer or get nothing and spend the rest of the season with an unsettled player. He seems to prefer a small squad, taking a quality-not-quantity approach to such matters. He talks a lot of sense with regard to youth players, often releasing those he doesn’t think will make it a couple of years before most clubs, his justification being that if they aren’t challenging for a first-team place by the age of 19 they never will, and all the while they remain in the squad they are holding back younger, and potentially better, players. 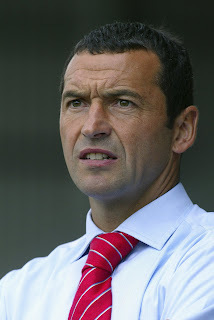 His record at club level is impressive – in each of his five seasons as a manager, he has finished in the play-offs as a minimum, and has twice gained automatic promotion. This record will be sternly tested this season. It should be pointed out that it is slightly distorted by the fact that his first three seasons were spent in charge of Northampton, and having succeeded in getting them promoted he left to take over at Forest. Had he not left the Cobblers, it is unlikely that he would have got them into the play-offs in League One straight away. Therefore, this is the first time he has managed the same club in two different divisions. Forest paid local rivals Derby County £2.65m for Rob Earnshaw who had fallen out of favour after a forgettable season in the Premiership. A proven goalscorer at Championship level, he will be looking to get his club career back on track, and also force his way back into international reckoning with Wales. He started his career at Cardiff before big-money moves to West Brom, Norwich and Derby. In pre-season games he has looked pretty good, bagging a brace against Notts County in a 3-2 win, and featuring against Sunderland and Everton. Andrew Cole (as he now likes to be known) needs no introduction, but he’ll get one anyway. After a career which involved spells at Arsenal, Newcastle and Manchester United, Cole has become slightly more nomadic in recent years, also enjoying spells at Blackburn, Fulham (his second spell there), Manchester City, Portsmouth, Birmingham (on loan), Sunderland and Burnley (also on loan). Though he appeared to have lost his goalscoring touch in the last couple of years, a return of six goals from eight starts and five substitute appearances for Burnley at the end of last season persuaded him to have one last year and he has decided to finish it all off at his home-town club. Not content with simply playing for Forest, he has spoken publicly of his desire to spend the coming season fighting for a second successive promotion. Paul Anderson spent last season on loan at League One Champions Swansea, and scored 10 goals in 41 games in all competitions last year, despite a spell out with injury. This season, Swansea tried to loan him again, but he chose to join Forest, and is one of the hopes for the season ahead. He can play on both wings, though tends to be employed down the left flank. Guy Moussi signed from French Ligue 2 side Angers for an undisclosed fee, rumoured to be around £500,000, and signed a three-year contract. He plays as a defensive midfielder, and has impressed in a couple of the pre-season friendlies so far. Forest beat a handful of leading French clubs to his signature, and he is thought to be a great prospect for the future. Forest splashed out £1.14m to sign Joe Garner from Carlisle, despite him being a couple of months from fitness after suffering a knee injury at the end of last season. Garner is another highly-rated youngster, scoring 14 goals from 30 starts last season before picking up the ligament injury that will keep him out until October. His move represents good business for Carlisle, who paid Blackburn £140,000 for him only last summer after he was allowed to leave due to the number of strikers ahead of him in the pecking order. Junior Agogo finished last season as Forest’s top goalscorer, with 13 goals despite missing several weeks while he was representing Ghana in the African Cup of Nations. His performances for the national team caught the eye of several clubs of greater stature than Forest, and on his return to the club he made it clear that he wanted to play at the highest level possible. Towards the end of the season it was rumoured that he was in talks with a couple of wealthy Saudi Arabian clubs, and it became a matter of when he would move, and not if. Shortly after the final game of the season Forest announced that they had accepted an undisclosed bid (thought to be about E1m, or £565,000) from Egyptian champions Zamalek for Agogo, and he quickly agreed to the move. Whilst the standard in the African equivalent of the Champions League is probably higher than the Championship, moving to one of the world’s ‘lesser’ leagues would seem to indicate that while Junior would like to play at the highest level, what he’d like even more is to play for a very rich club who would like to pay him a much higher wage than Forest for playing at a comparable level. Sammy Clingan’s departure was probably the biggest surprise. A first-team regular and very popular with the fans, he opted to move to Norwich on a free transfer, a move which many fans regarded as sideways at best, if not slightly backwards. Norwich spent most of last season battling relegation with a team mostly comprised of ageing players and loan signings who weren’t likely to be around for the coming campaign, while Forest seemed to have momentum, and ex-players and pundits alike were falling over themselves to tip the Reds for a second promotion push. One of the stories surrounding Clingan’s departure was that he didn’t settle as well as he would have liked with the rest of Forest’s squad. Given the important role he played in Forest’s promotion, his departure is likely to be the most keenly felt, and leaves the midfield looking worryingly thin, even with the signings of Guy Moussi and Paul Anderson. Few people, if any, have come out of Kris Commons’ transfer from Forest to local rivals Derby well. Many Forest fans were under the impression that Commons was ‘one of them’, having grown up in the town, and to sign for Derby was tantamount to sacrilege. It was well known that Commons’ contract expired at the end of last season, and it was thought that he would stay if Forest went up. With promotion in the bag, fans thought it was only a matter of time before an announcement was made about Commons extending his contract. However, an announcement came – Commons was being released, having made it clear that he didn’t wish to stay – there were whisperings that he had had enough of Colin Calderwood and couldn’t wait to get out – and Forest had decided not to waste time offering him a new contract. At least, that was the official line, though in a recent interview Kris claimed he wasn’t a Forest fan, and not just that, but had repeatedly asked to extend his deal only for the club to ignore his requests and make no such offer. Soon it was known that he was in discussions with Derby, and before long he signed. Cue some pretty pathetic behaviour from all quarters. His defection to the arch-rivals provoked a plethora of vicious comments from fans (mostly along the lines of “I hope Julian Bennett breaks his legs when we play them!”), along with tons of sour grapes (he went from a bit of a cult hero to “fat, lazy, inconsistant Judas” overnight). Also, Derby seem pretty pleased with the fact that they’ve signed on of their rivals’ more important players, and have taken to rubbing it in slightly by using Commons for as many of the photo shoots as possible, smothering their website with pictures of him in a Derby shirt. Stories have also emerged that Commons was approached by Derby as far back as last November, which, if true, would mean that the Rams were in breach of Football League rules which would only have allowed them to talk to him from January onwards, and these have only served to fan the flames. Whilst he was regarded as an important player for the Reds, he was used much less towards the end of the season. This could be due to a number of things: a small injury, him not fitting with Calderwood’s tactics, squad rotation, Calderwood preparing for life without him even. However, it would be fair to say that his loss, though still considerable in my eyes, is not as much of a blow as it might have been a year ago. Grant Holt was another whose departure was a matter of when and not if. It was fairly clear that he and Colin Calderwood didn’t see eye-to-eye almost right from the word go. 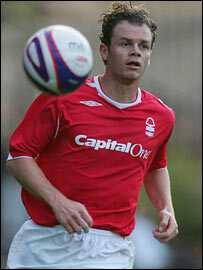 Before Christmas of the 2006-07 season, Calderwood’s first in charge, Holt was given permission to talk to Bristol City over a £300,000 move despite being the club’s top scorer at the time. He turned down the move, preferring to stay and fight for his place, and finished the season top of the goalscoring charts with 18 goals. Despite this, he wasn’t first choice at the start of last season, and with Calderwood’s decision to switch to a 4-5-1/4-3-3 formation, he spent long periods of time cutting a frustrated figure in an unfamiliar right- or left-wing position. Rumours of a bust-up with Calderwood gathered momentum when the manager appeared sporting a black eye, and before the end of the January transfer window, Holt had been shipped out to Blackpool on loan. At the end of the season he returned and despite hinting that he would stay and fight to regain his place, he soon joined League Two side Shrewsbury, becoming their record signing at £170,000. 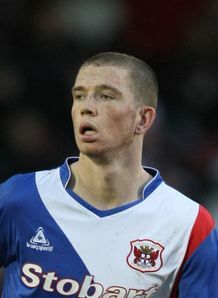 After a season spent as a more than capable back-up to Julian Bennett, Matt Lockwood was allowed to move on in search of first team football. Despite a thinly-veiled public plea to boyhood team Southend, his dream move failed to materialise, and he signed for Essex rivals Colchester for an undisclosed fee which was believed to be in the same region as the one Forest paid twelve months earlier, somewhere around £100,000. In most of the season previews produced so far this summer, Lewis McGugan is tipped as Forest’s One To Watch. I’m going to buck the trend here, if only because it is too obvious to follow in everyone else’s footsteps. My tip for the season ahead is Guy Moussi. As a holding midfielder, his role is vitally important, and his success or failure will probably be reflected in the team’s fortunes. Early signs in pre-season have been promising. This entry was posted in Football, Nottingham Forest by Philip. Bookmark the permalink. I perhaps should add that since I wrote this blog entry, Forest have signed Lee Martin on loan from Manchester United, and I’ve also found out that Guy Moussi was even more of a bargain than previously thought – according to Sky Sports, he had a £275,000 minimum fee release clause in his contract at Anger, so he only cost just over half what was previously suggested.